A selection of new works by Charlotte Keates will be on show at the contemporary art fair PULSE Miami Beach, from 6-9 December 2018. Keates (b.1990, UK) is a London-based painted who has exhibited extensively throughout the UK. She was selected for the prestigious Columbia Threadneedle Prize in 2018. 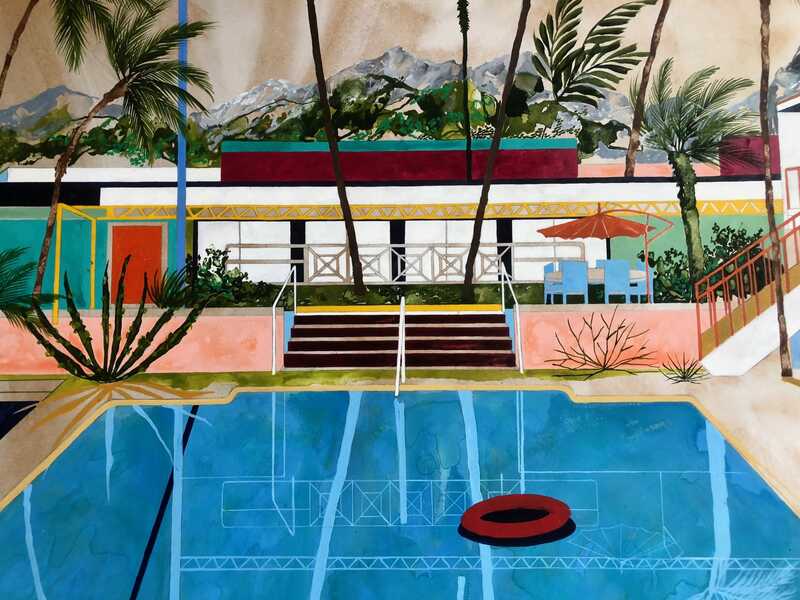 The new works created for Miami Art Week are inspired by a 3-month trip around North America the artist took the previous year, as well as photo slides from an American family's travels in the 1960s. The paintings will go on public display for the first time in Miami. For more information, please contact Arusha Gallery.